Many people surely spent the weekend eagerly anticipating a brand new Radiohead release come Monday morning, but awoke slightly, but not entirely, disappointed. The completed track, "These Are My Twisted Words," from perhaps a new EP titled Wall of Ice, appeared for download on the band's website early this morning, confirming the speculation last week that there would indeed be some new offering from the UK rock band come August 17. "We've been recording for a while, and this was one of the first we finished. We're pretty proud of it," wrote Radiohead guitarist/keyboardist Johnny Greenwood on the band's blog. "There's other stuff in various states of completion, but this is one we've been practicing, and which we'll probably play at this summer's concerts. Hope you like it." Rumours about a new EP began circulating on August 12, after "These Are My Twisted Words" began appearing on P2P and torrent sites across the Internet. The band made no comment on the track, though the .NFO text file that accompanied the download - normally providing technical information such as frequency and encoding quality about the files in the package - strongly resembled the writing tone used on the band's blog, suggesting that perhaps the band members themselves were releasing the song early through these means. The file also indicated a potential EP release on August 17 under the "rls. date" heading, as well as embedding the song's title and the words "Wall of Ice" in ASCII text as part of the meticulously designed character drawing that framed the information. The title of the upcoming EP was potentially confirmed last week by The Quietus after they discovered www.wallofice.com would redirect to the band's store, much in the way that www.inrainbows.com did the same upon the release of the band's previous album. 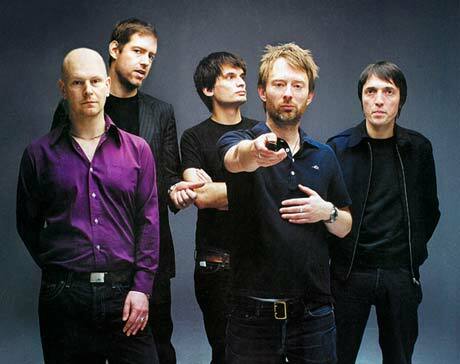 Some have noted that this title may allude to an early panel of the popular geek-culture webcomic XKCD, depicting an unstoppable wall of ice closing in for the impending destruction of some of the major players in the music industries - an act the members of Radiohead might relate to since announcing that they would be abandoning the album format altogether, according to a recent Thom Yorke interview with The Believer. You can preview or download the new Radiohead song directly from the band's website here.